While the A5 is still around in a couple of very sad devices, I know a lot of developers are glad to see Apple finally moving forward. iOS 9 will run on a lot of older devices, but I do think it may be the last iOS release to hold that line. 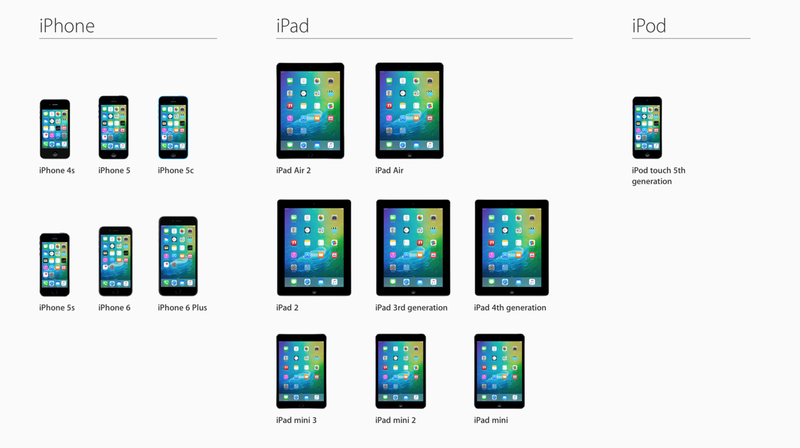 The original iPad mini was perhaps the first example of Tim Cook’s approach to products. It was the iPad 2 — in a smaller, cheaper form — and it sold like crazy. I’m currently using an iPad Air 2, but I loved my original iPad mini. Sure, it didn’t have enough RAM or even a Retina display, but it made iPad apps far more mobile, and it marked the first time I wasn’t embarrassed or annoyed to use an iPad someplace public like a coffeeshop or park. All that aside, Apple let this device linger too long. It’s the downside of Cook’s operations brain that brought us the device in the first place. Now I just hope the device will get a nicer update than last year.